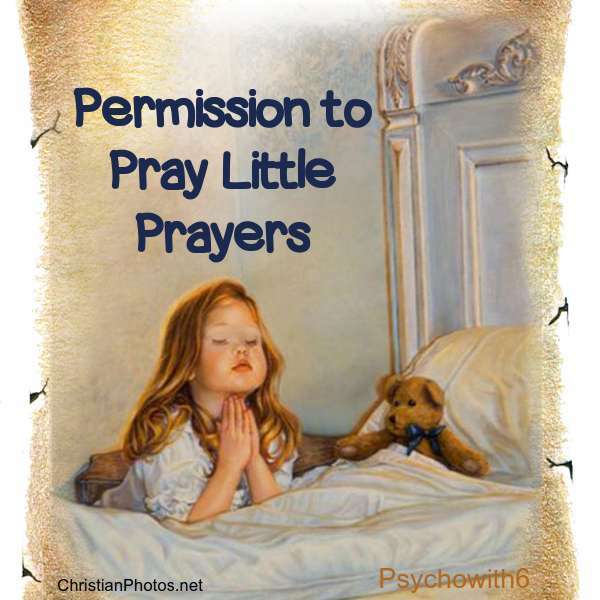 I often feel guilty praying little prayers. I have friends right now who need great big prayers. They’re in pain. They’re in mourning. They need a job in the worst way. Do I have any business praying for the rain to stop so my hair doesn’t get wet? Graduate school had been a harrowing time for me. In So You’re Not Wonder Woman, I share some of the many challenges I faced: impending failure, unbearable living conditions (that I’d created), credit card debt, overeating, unhealthy relationships, and depression. I was so thankful to have emerged from that time with a Ph.D. that I wanted a special dress to celebrate. I wasn’t willing to spend a lot on it and it had to be just right. But my shopping had been to no avail. I had to have a dress before the stores closed that night or I would have to wear something I’d worn many times before. I prayed that if the Lord wanted me to have a new dress for graduation, that I would find it at this last store at the right price. I walked into the store and saw it immediately. As I reached to take it off the rack, a sales clerk stopped me and said, “Wait! We’re marking that down.” I not only got the perfect dress inexpensively, I got the idea that it was okay to pray little prayers. I’ve written before about God answering prayers for parking spaces and beautiful weather for weddings because God is a Gentleman. But I keep forgetting that fact and feel like I’m being a spoiled brat whining at God’s feet when I pray little prayers. This weekend I remembered why you and I have permission to pray them. Saturday morning I was getting ready for the annual Women’s Day of Renewal where I would speak on “Secrets of the Spirit Lifters.” I had my hair sufficiently poofed up, but it would be no match for the rain that was coming down. I asked my husband if we had any umbrellas I could take with me. He thought maybe there was one in the garage. Nope! I was pretty sure they were all in our family van which I was not taking to the retreat and which would require me to take on a lot of rain to get to. I decided to jump in the other vehicle and take my chances not having an umbrella. On the way to the retreat, I realized I didn’t even have a jacket to cover my head. I was NOT thinking about encouraging the women; I was thinking about keeping my hair dry! I decided to pray. Lord, if you would stop the rain long enough for me to get into the church, I would be so appreciative! Please bless this retreat and make it the best one yet. I’m going to be completely honest and admit that I didn’t expect Him to hold off the rain–especially as I turned up my wiper speed as high as it would go on the drive there. But I did relax knowing that God would help me, one way or another. I sang along to the praise music on my radio until my exit was in sight. The rain suddenly stopped. The little drops stopped landing on my windshield and threatened to slide down my cheeks. I was able to get into the church with my materials dry and my hair held high. But nothing could have been higher than my spirits. God cares about dresses and parking spaces and dry hair because He cares about me and you. He seems even bigger when He answers our little prayers. Has God answered your little prayers and renewed your faith? I didn’t remember the content of this post at all, Audra. So glad you reminded me of it, because it blessed me to read it. Our God is so tender-hearted toward us. It makes me cry happy tears. I need to share this post again. Thank you. So true, Rick. The better we know Him, the easier it is to trust Him! Beautiful – I love that God cares so much about us & even those last words “It was our best one yet!” gave me chills. It is in the little details that we can certainly feel his presence and his devotion to us. Thanks for this reminder. I can’t tell you how thankful I am that you commented. I hadn’t read this post since I wrote it and I was moved all over again by the goodness of God. I also miss doing this kind of writing, so I will make time for it.